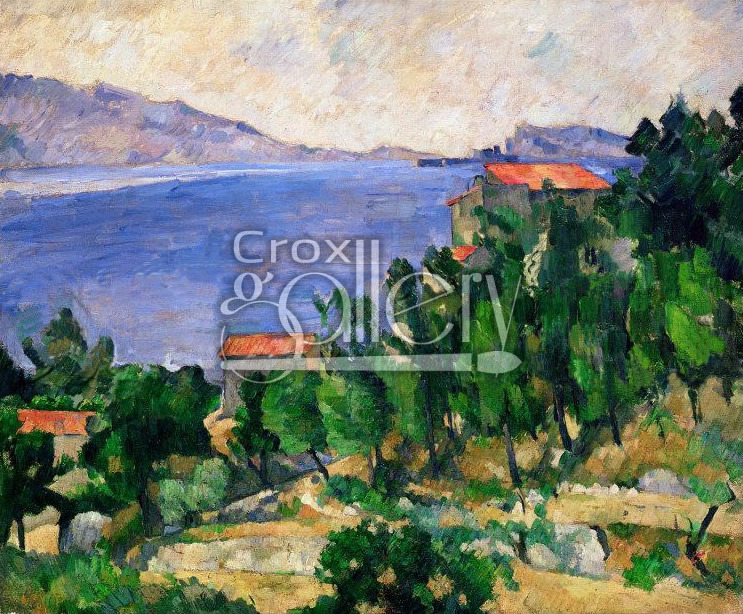 "View of Mareseilleveyre" by Cézanne, Oil Painting Reproduction. 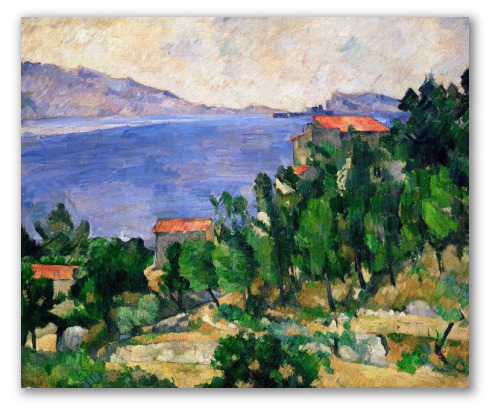 Natural landscape painted by Paul Cézanne. Complete title in English: View of Mount Mareseilleveyre and the Isle of Maire.